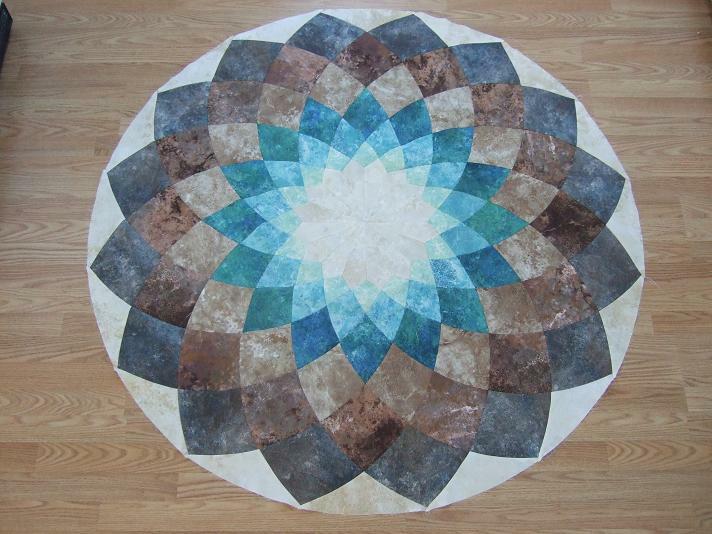 I used all Stonehenge fabrics for this quilt top and still have to add the background to make it a 65"x65"quilt. 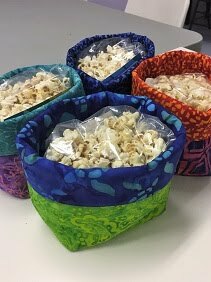 I am starting to see a trend form for me this year and that is 'Projects with Friends!' 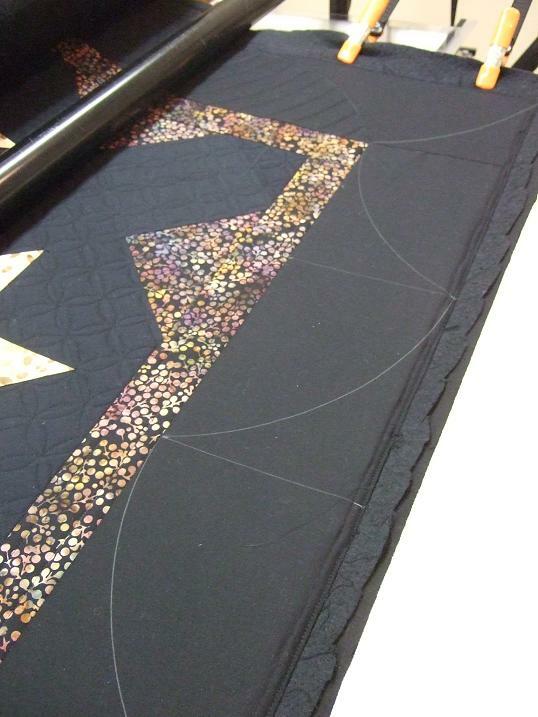 I started working on the Just Takes 2 quilt with Lori, now the Dahlia quilt with Desley and starting next week Jenny is going to host a Curvy Quilt Along using her curved ruler. I have her ruler so am looking forward to joining along and trying it out. 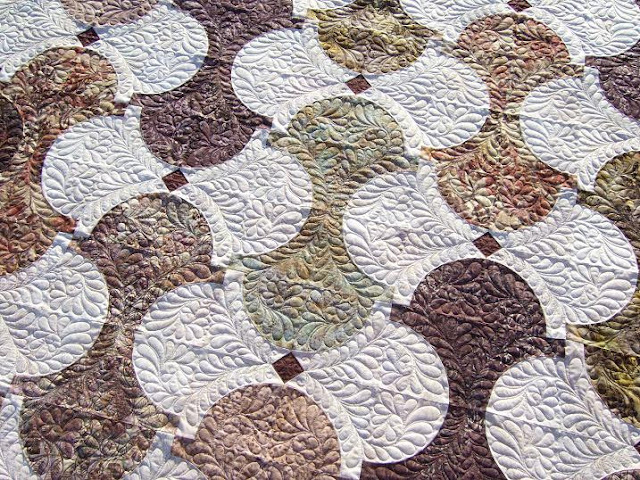 This is Rae's Mystery quilt that our guild did in 2009. 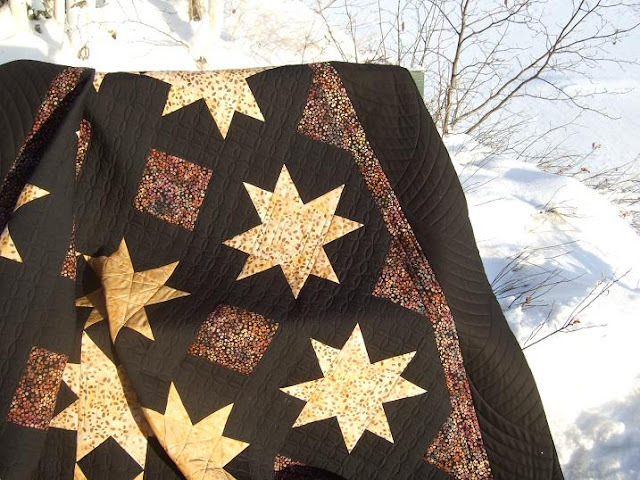 I went back and counted how many of these mystery's I have quilted and the number is 12. The quilt I posted last time was going to be the backing for this quilt but when she brought the two pieces to a guild meeting we talked her into make two quilts and not use the other one for the backing. So since we changed the plan on her she then decided that a snow dyed backing on both would be the answer. I'm was all for that and happy to oblige. I quilted this one free hand and did my 3's and E's in the center and a teardrop shape in the border. 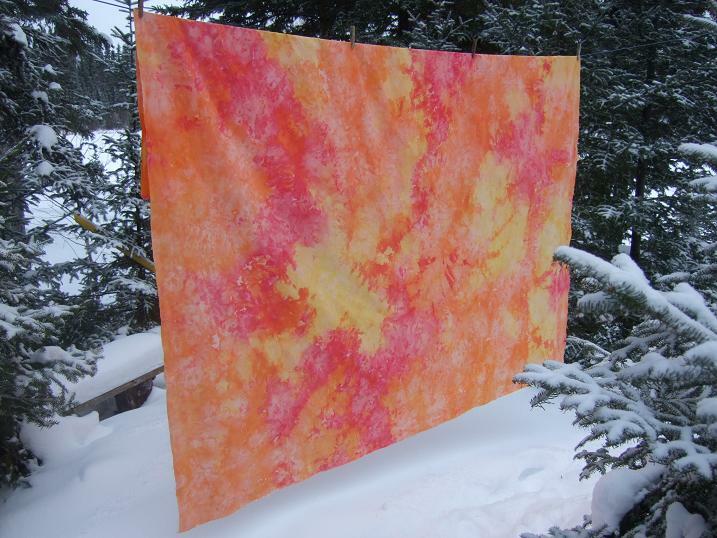 I used Lava orange thread and Dream Blend batting. 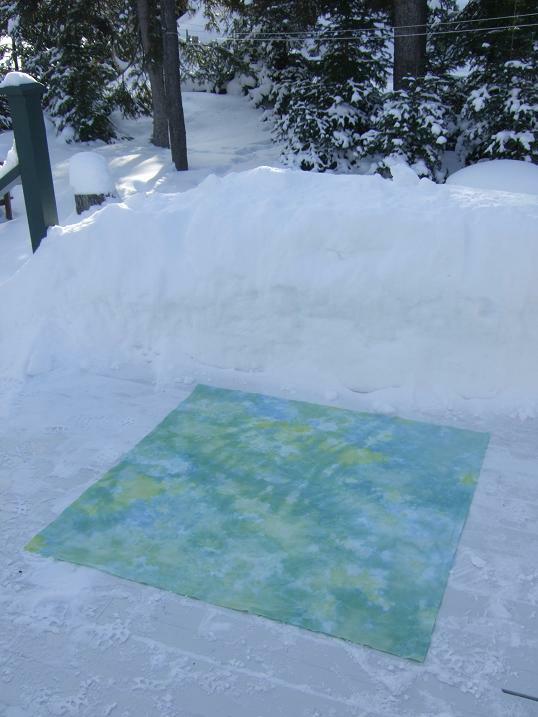 And now to show you the whole snow dyed backing that was used on this quilt and I last showed you covered in snow. There are those lizards again! Rae made this quilt top and wanted the quilting to be fun for a kid and we thought the lizards would do the trick. I love this panto and just found out today that is now one of the pantos that Urban Elementz offers for FREE to print out. 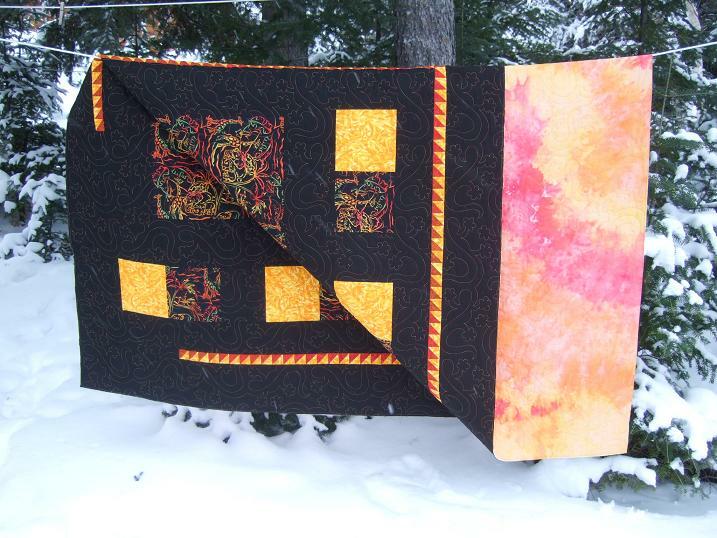 I used orange Lava thread which looks fantastic on the black fabric. It was snowing when I too this picture so that is what the white blurry spots are! 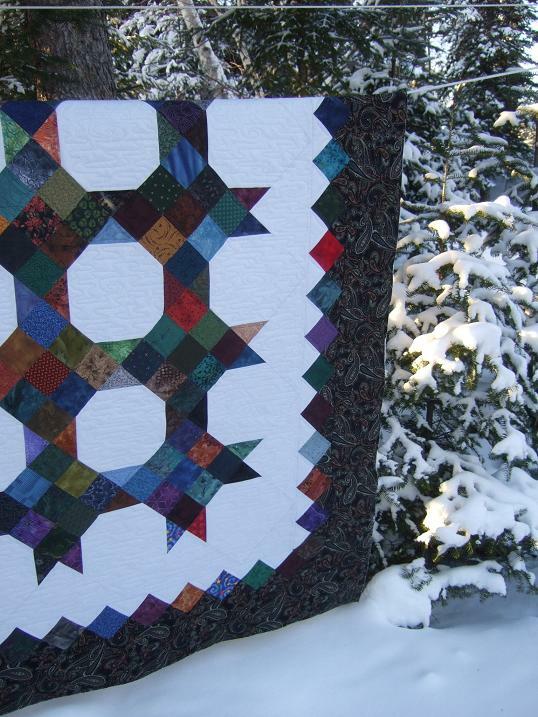 This quilt has another favorite of mine....a snow dyed backing. 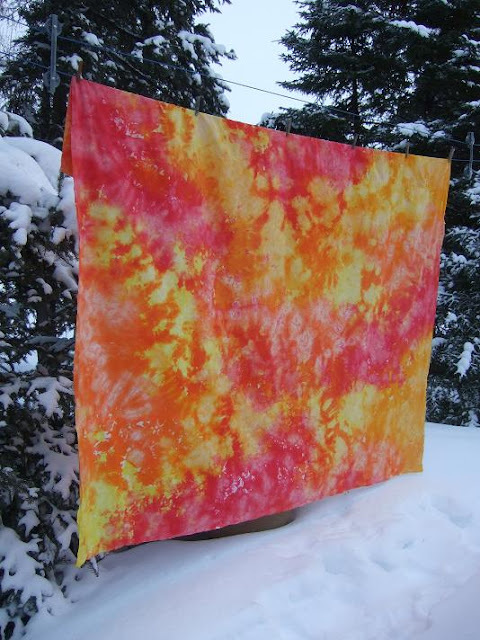 Rae asked me to dye the backing for this quilt and another one that I will be quilting next. 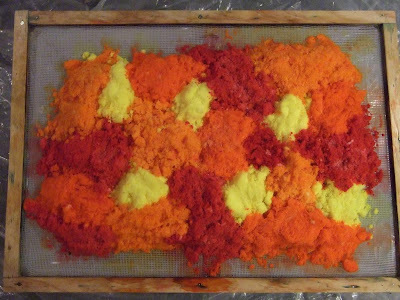 I used Bright Yellow, Orange and Scarlet on this piece. To prevent the colors from blending too much and ending up with a solid orange backing, I did something different this time, I mixed the Procion dye powder into the snow! 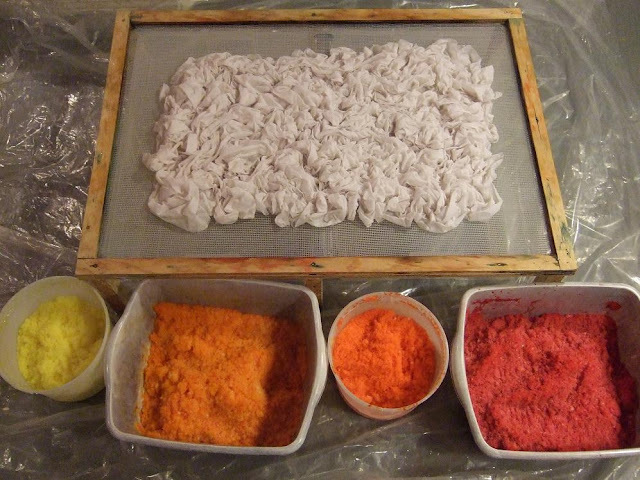 I don't think I have shared that method before so I took pictures of the backing I have dyeing tonight. For this backing I am using Bright Yellow, Golden Yellow, Orange and Red. 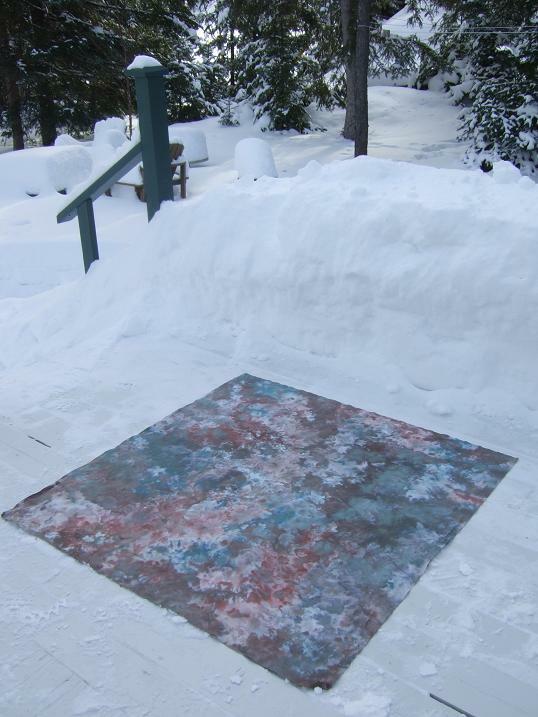 Cold, dry fluffy snow works best with this method. 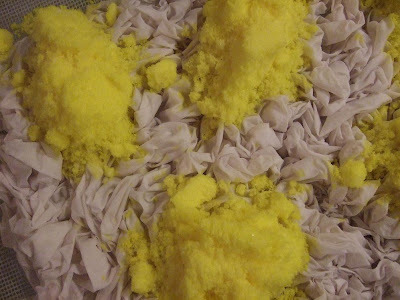 Wet heavy crystallized snow probably won't work. I used 1 to 2 tsp of dye in each container of snow and mixed well. 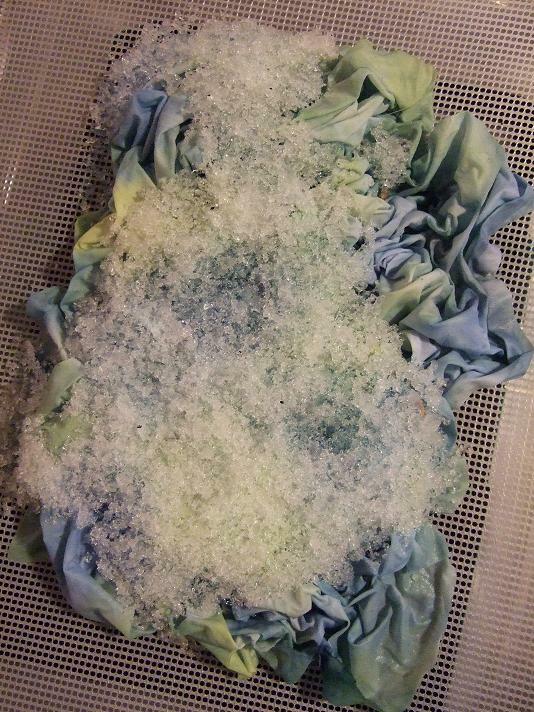 Then just randomly scoop the snow onto the fabric, starting with the lightest color. Here is how it looks tonight and by morning it should be ready to rinse and dry. I'll show you the results when I have the next quilt finished! 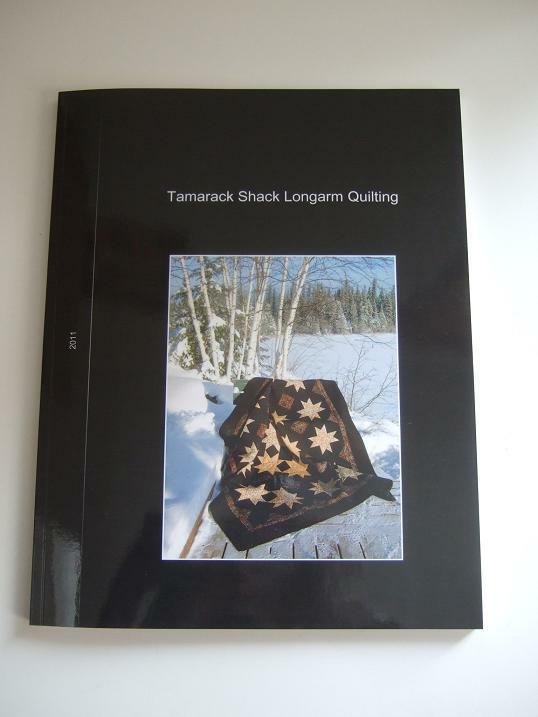 Every January, since I started my blog, I like to have my blog printed out in book form so I have a hard copy of my quilting from the past year. 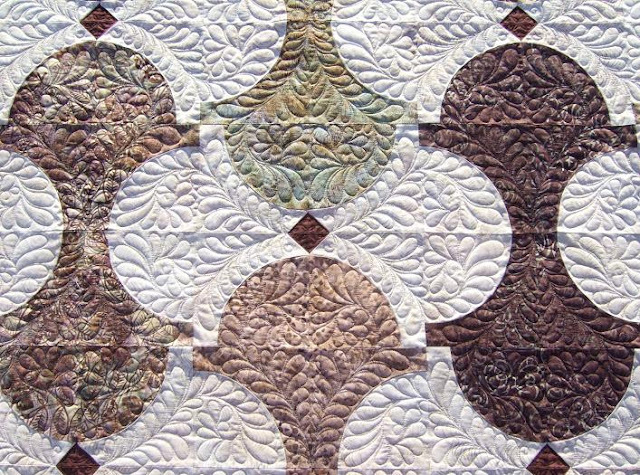 I look at my blog as my quilting journal. 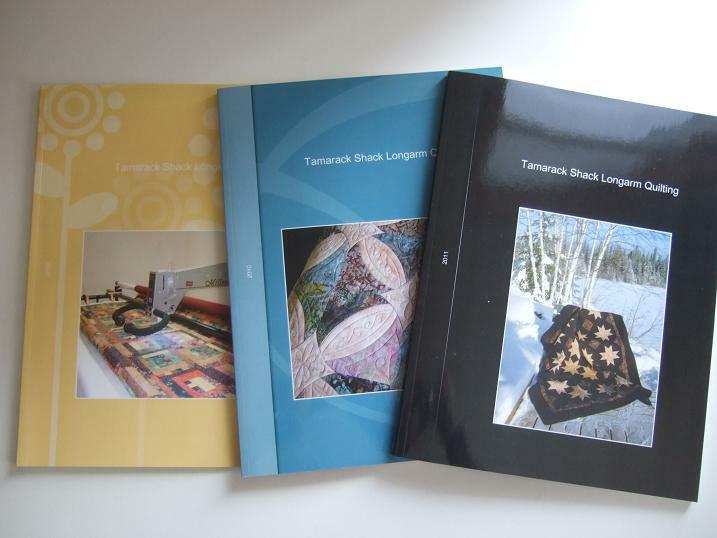 I get mine printed by Blog2Print and they do a great job. I can delete posts I don't wanted printed and I usually edit out the family vacation post and non quilting related ones to keep the cost down. 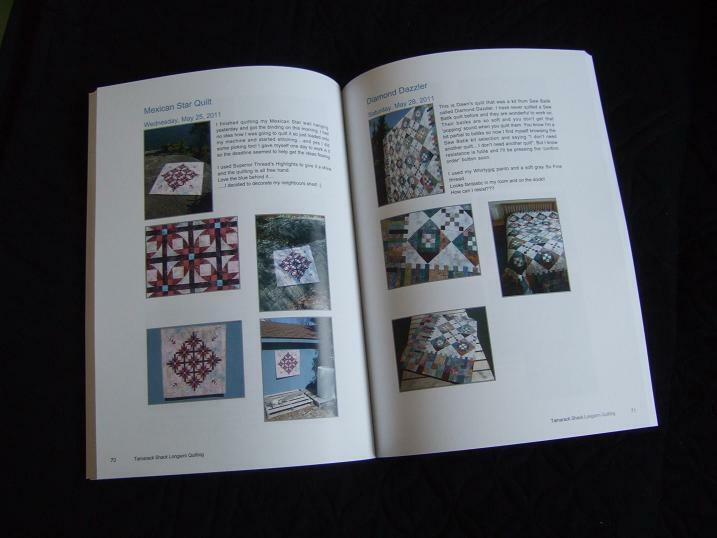 Here is a peek at the inside, it is all glossy paper and color photos. I like to change the book covers each year to match the quilt pictures I use for the cover. ...so here are the results. You can see we have to lift the snow up to get it off the deck now! I heard that there were some large solar flares yesterday, biggest in the past 7 years, so the potential for great Northern Lights tonight is good. It was cloudy here last night but I'm hoping for clear sky's tonight! This is Lynn's Hourglass quilt, it is a Random Threadz design. She was working on this quilt at our last guild retreat and I was so happy to hear that she was planning on bringing her quilt to me to quilt...you know I love batiks and curved piecing on quilts. Lynn brought the pattern show how she wanted it quilted.... all feathers. 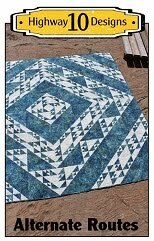 So I did a bit of searching on the internet and found out Legacy Quilting had digitized patterns for this particular quilt design. 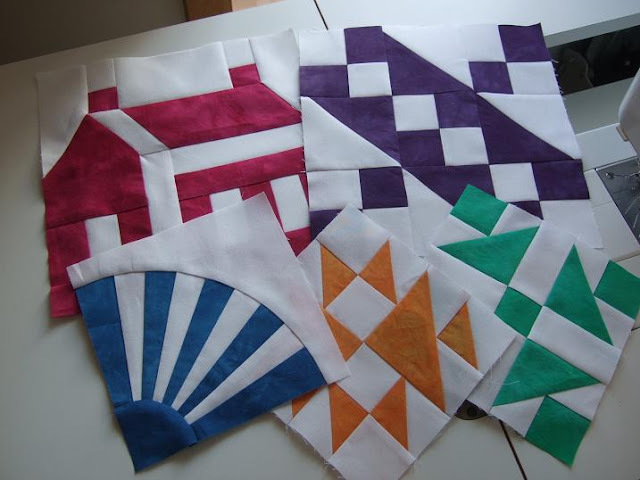 Well I don't have a computer on my longarm so I just used these designs as my inspiration! They are all free hand, I just marking in the spines with chalk to keep the spacing even. I really like how this feather design fills in the hourglass spaces. 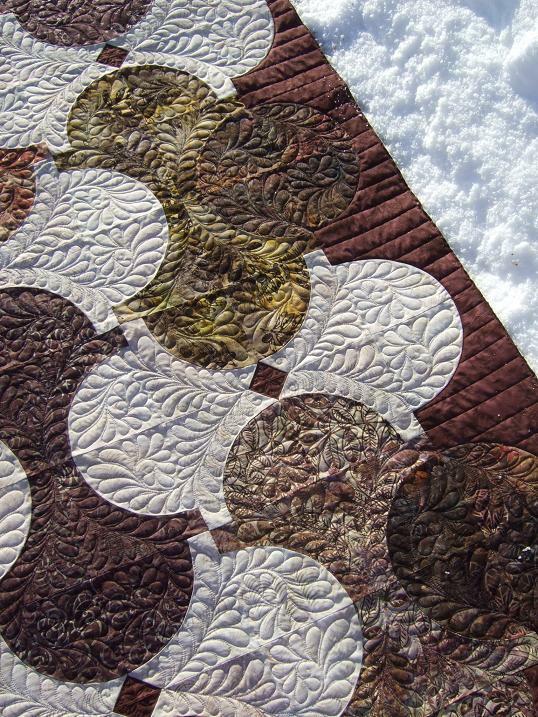 I also really liked their feather design for the circles, it is a nice change from a wreath style feather. 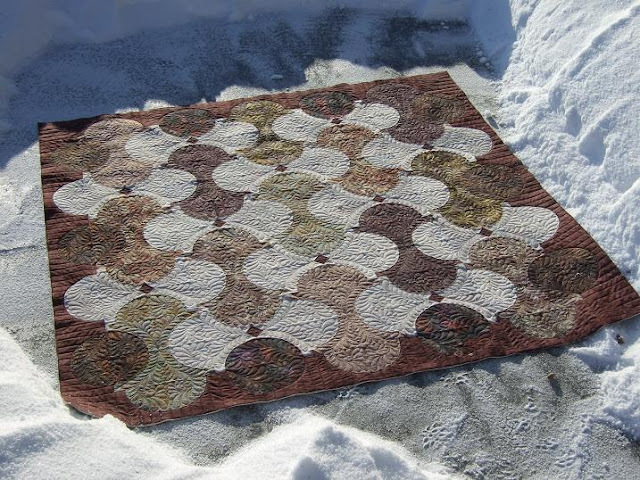 I piano keyed the outer burgundy border for contrast. 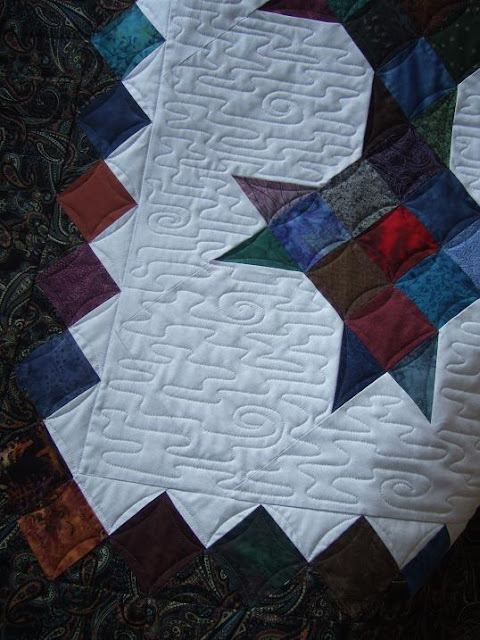 Funny the last two quilts I have done, both for Lynn, I piano keyed the outer border. 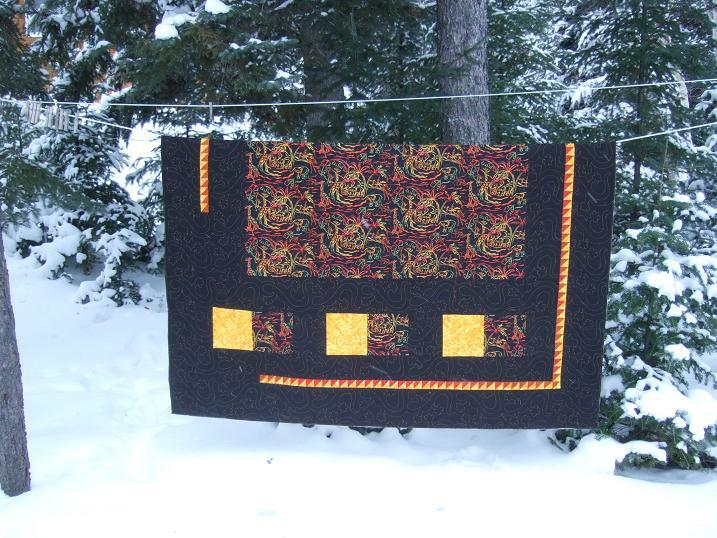 I had never done piano keys on a quilt before these two. 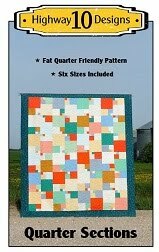 Guess I was just waiting for the right quilts to come along. 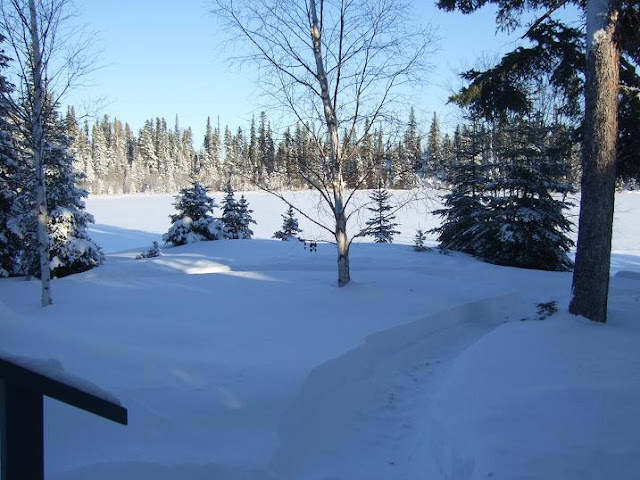 I was able to clean a tiny space on the lake to take this picture, -34 this morning! Here are the designs that I based my feathers on. 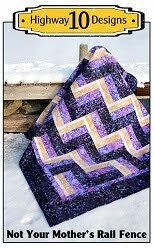 Lynn asked for my free hand water meander in the light background and I suggested CC's in the squares. She used a dark border fabric in her's which really compliments the dark colored scrappy squares in the quilt. 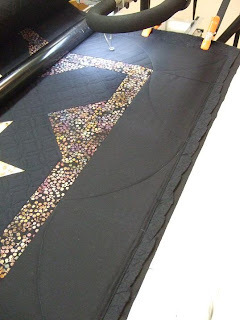 If you read Desley's blog you'll see that we are both working on the Giant Dahlia quilt top...well I should say she is working on the quilt top, I've hit a road block with mine even before I started. 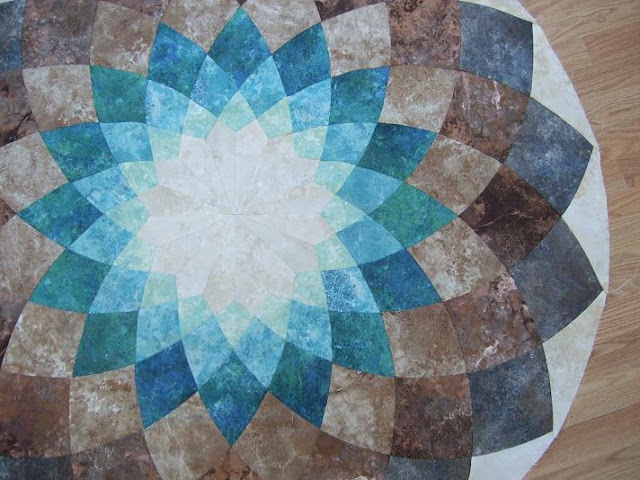 I can't deciding on what order to place my fabrics in my flower. 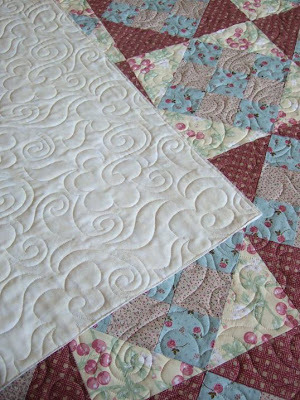 As with most of my quilting projects this part takes the most time for me but once I make that decision I'm good to go. I bought my fabrics at Mama Bear's quilt shop in Ashern, Manitoba when we were down south over New Years. I can't believe I never knew this shop existed as we drive through this town about 4 times a year!! And the boys didn't even complain waiting in the car as they discovered they were in a WiFi hotspot! Talk about good luck! What fabric did I pick....well let's just say she had a lot of Stonehenge fabric in her shop!! 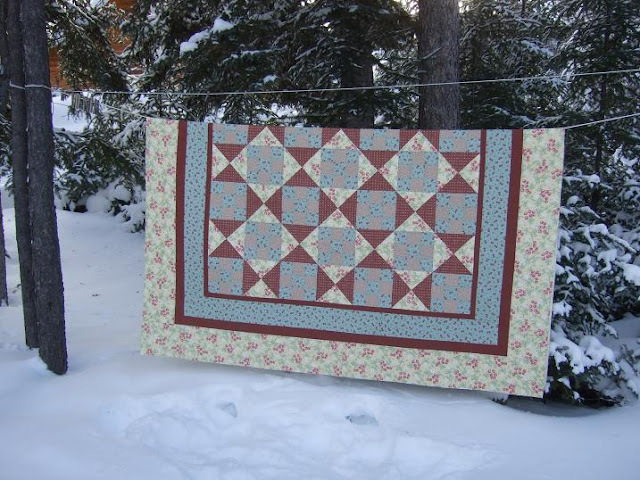 I love it when clients share their quilt story with me. 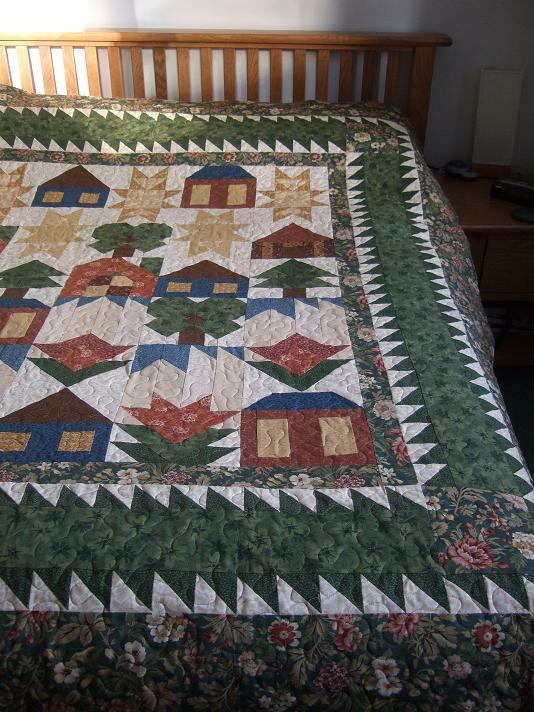 This is Gail's quilt that she made for her daughter. 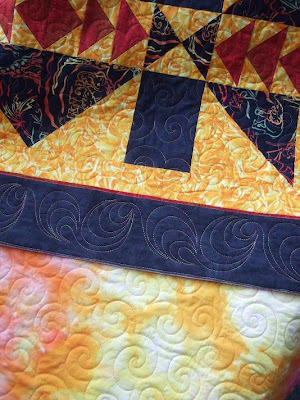 She designed it on EQ7 and her daughter picked out the fabrics....since the first quilt Gail started to make for her wasn't made with the right colours. 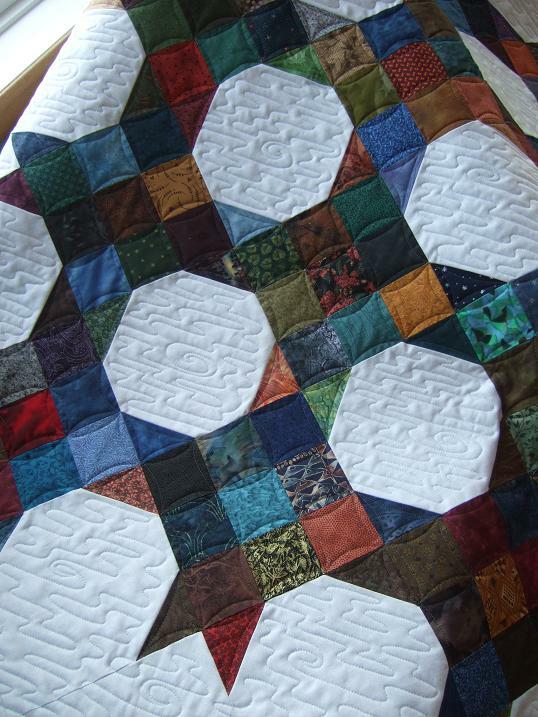 Now I'm not going to pick on her daughter for rejecting quilt #1, we all have our own tastes, but I had to tease Gail about not knowing what colours her daughter liked. ;) She said she would never had imagined her daughter picking these fabrics but now this it is done just loves her choices. 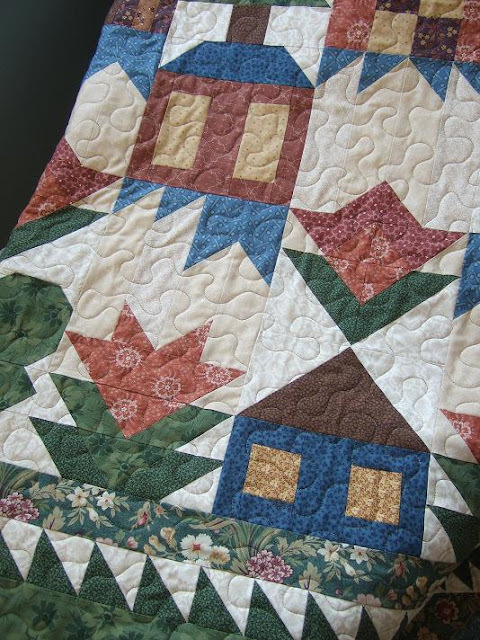 I think they both stepped out of their comfort zones with color and together they created a beautiful quilt. 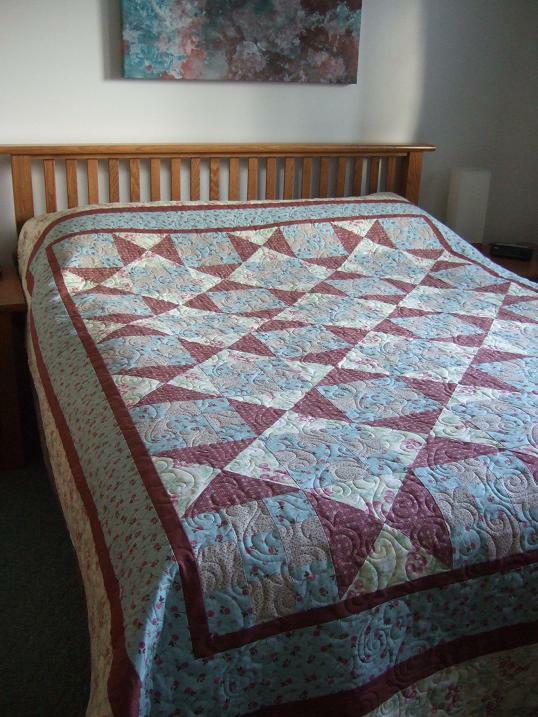 Since this was a joint effort, they both discussed possible quilting design and agreed on the Rhapsody panto. Batting is Quilters Dream Cotton Deluxe and it's quilted with So Fine thread. It's pretty but don't let that fool you! 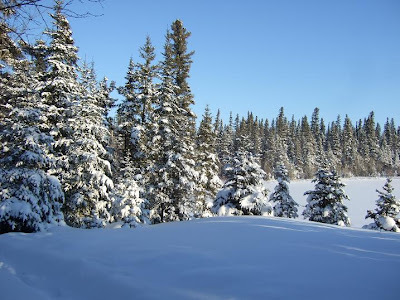 It is bitterly cold. 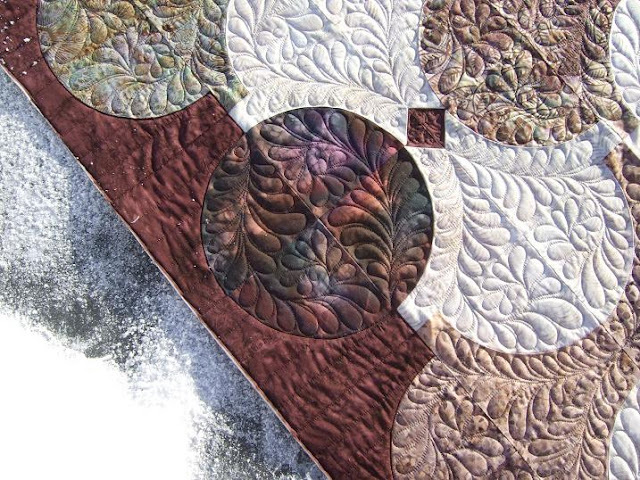 I've had a few requests for a tutorial on how to do the Curved Echo border design. First I need to clarify that I did not create this design, Raylene Smith shared a pictures of one of her quilts on a quilting forum with this design in the borders. 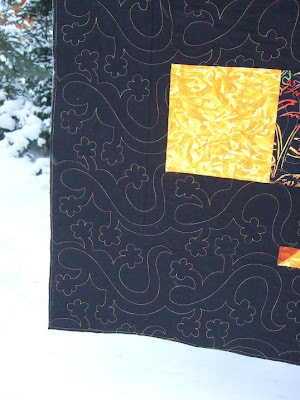 This is one of my favorite border designs and it is surprisingly simple to do. 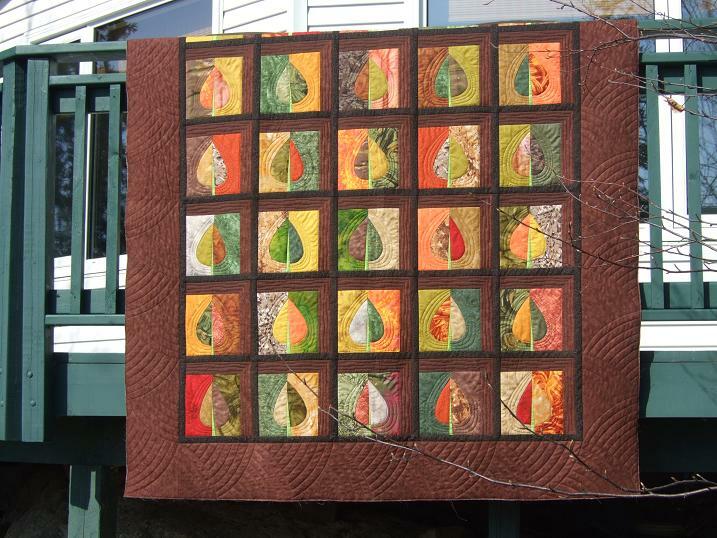 Here is a picture of Robins quilt, it was the first quilt I tried this design on. You will need a curved ruler, I don't think it matters what brand as long as it has 1/4" markings along the curve. 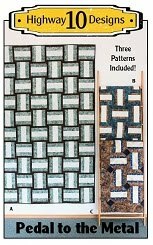 I use Deloa's Boomerang rulers and what size you use depends on the width of the border and scale you want to create your design at. 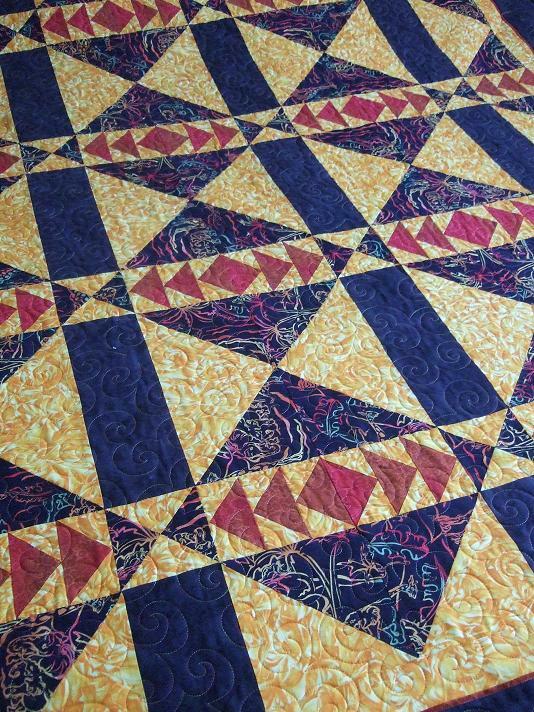 I will be give directions for quilting this design in the outside border. 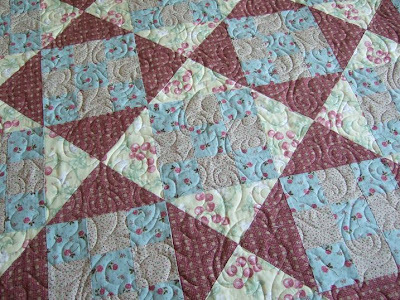 First you need to divide up the border into even sections and I like to make it simple and use the center of the sashing as my divisions. 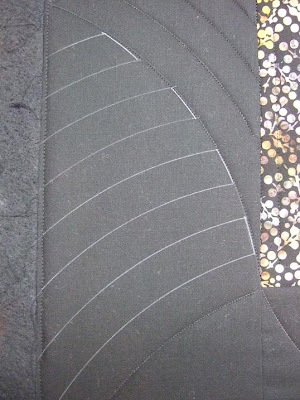 Yes the first and last curve sections will be a bit longer depending on the wide of the sashing but you really won't notice that in this design. 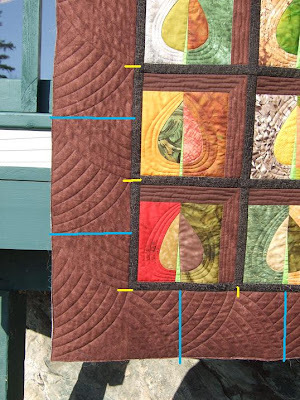 If your quilt does not have sashing then measure the inner part of the outside border and divide that evenly. 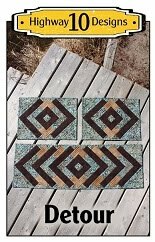 I have used between 9" to 18", it just depends on how wide of a border you have. Let's say the spacing between the yellow lines is 10". The blue line represent the center of the space and this indicates were to end the curve on the outside edge of the quilt. 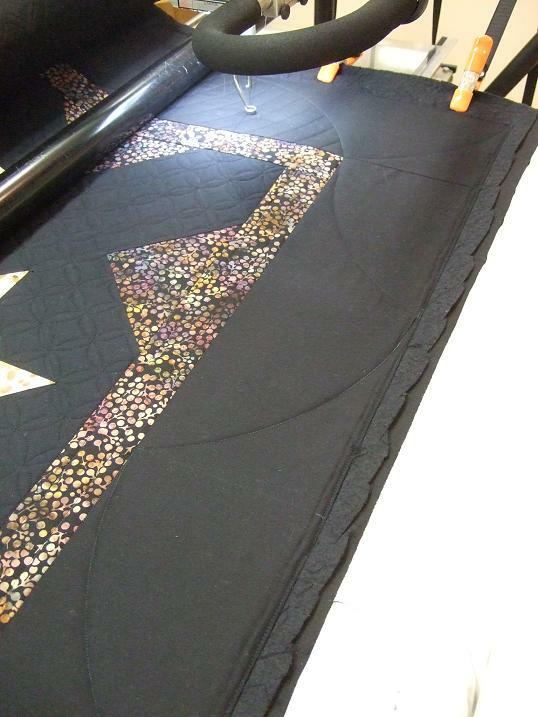 This will be 5" offset from the yellow marking against the inner border. I like to mark these blue reference lines with chalk on my border. 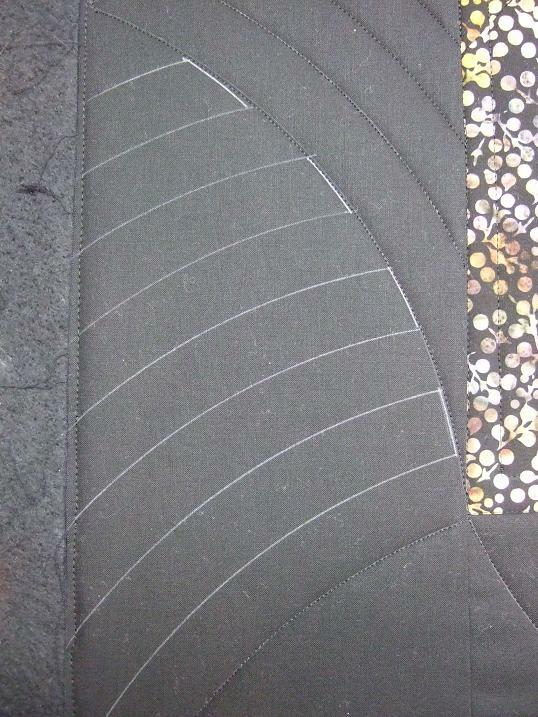 Next I like to chalk on the main 'Zigzag' of the design using my curved ruler. This is seen by the curved yellow line. At the corners you just take the curve to the outside corner even if the spacing is not the same it doesn't really matter. This is one of the great things about this design is it works so well around corners! 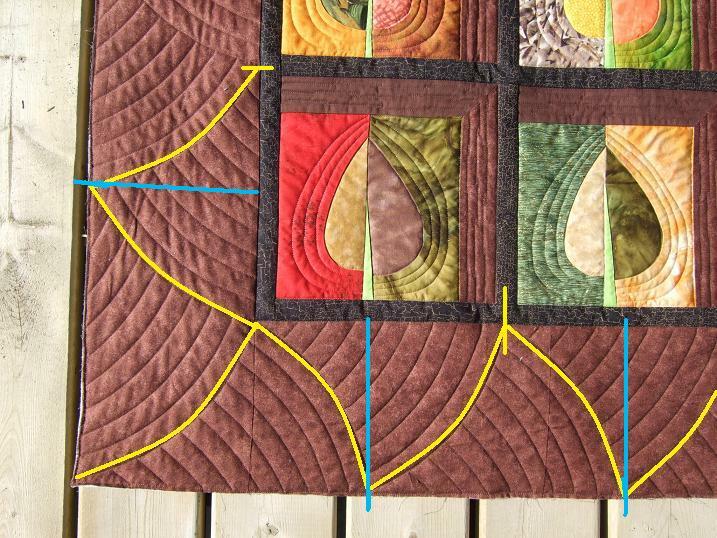 Once the zigzag line is marked it's time to quilt it using your curved ruler. 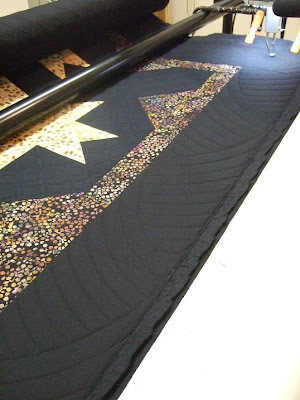 Once the zigzag is quilted I then fill in the echos and like to use 1" spacing. 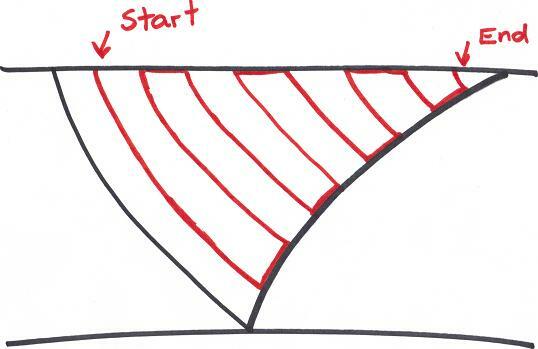 Here is a sketch of the same information I drew on the picture above but the curves are drawn the other direction. 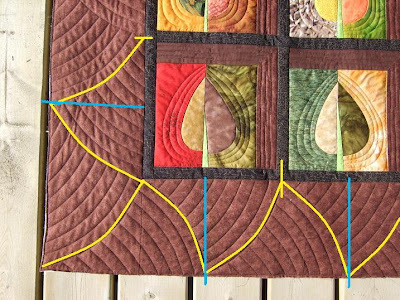 This is to show you it doesn't matter which way you start to draw your curves just continue this pattern around the whole quilt. 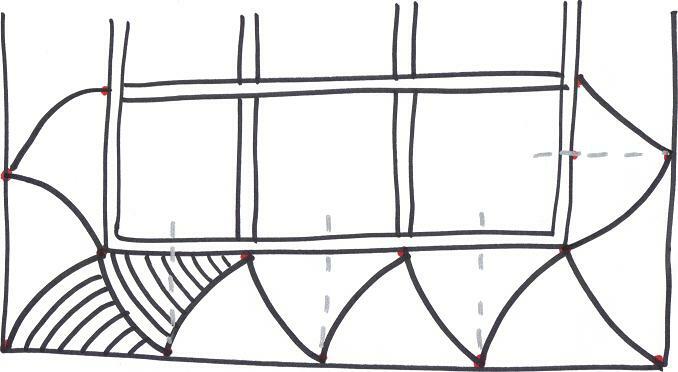 Here is a sketch of the stitch path. 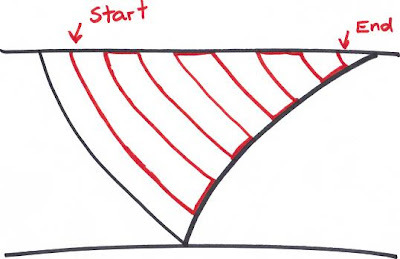 I backtrack along the main zigzag, seam line or outside edge so no need for stopping and starting. 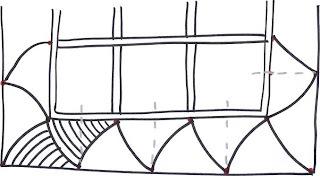 You can just travel in the seam lines or outside edge to get to the next curve section. 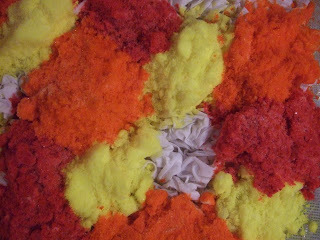 I took this set of pictures when I was working on my Mystery quilt. I wasn't too happy with the quality of these pictures but they show a good example of longer curves, I believe they had an 18" repeat. 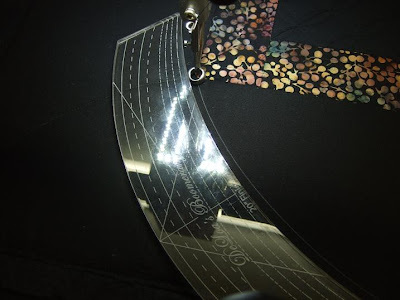 Picture of the ruler when stitching the zigzag. I use the lines on the ruler as my guide to create the 1" spacing between the echos. 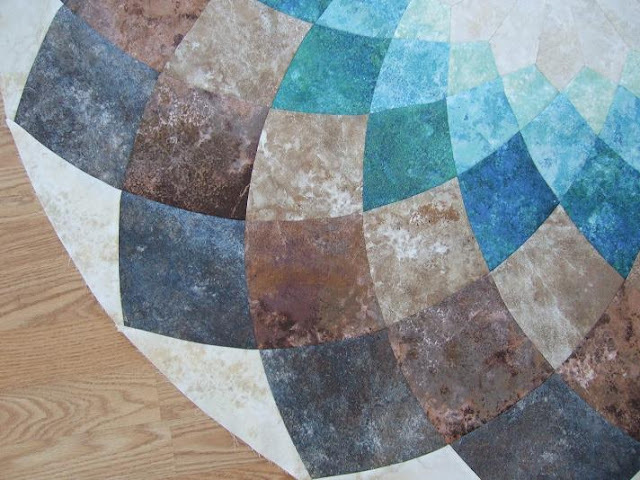 Here are the curved echoes chalked in to show you the backtracks and the finished border. 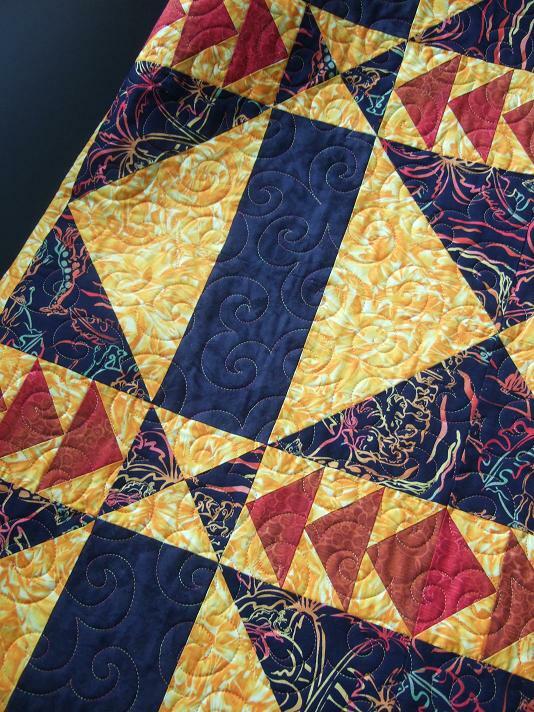 I find this design has the best impact when stitched on solid or tone on tone fabrics. Also I would avoid variegated threads with this design because of the backtracks.